After completing his medical degree in Otago and Christchurch, Andy Malcolm worked in New Zealand for 2 years before finding time to travel through South America and Asia. After this he worked in Auckland Christchurch and Tauranga gaining experience in a variety of surgical specialties, before undertaking advanced surgical training in Urology. After working in London he returned to Nelson in 1999. 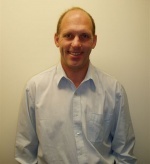 Andy’s areas of interest include covering all the major urological conditions. He is especially interested in urological cancers including the prostate, kidney, bladder and testicle. Also he has interests in other prostate problems such as difficulty passing urine, stone disease, scrotal problems, and fertility and continence issues. He has close links with other specialist urologists through out New Zealand, and is committed to offering modern, effective urological care. It is appropriate for potential patients to contact Andy Malcolm directly, however a referral from a medical practioner is often useful.